Fighting along the front line in Korea in November and December 1952, another Christmas with no peace and little goodwill in that country. A review of what was happening within China during the Korean War. 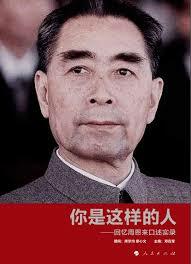 A biography of Zhou Enlai the Chinese foreign minster. The first of Chairman Mao’s purges within China. What was happening within North Korea, a country damaged by war. Both China and North Korea want an end to the war but Stalin insists the war continues.